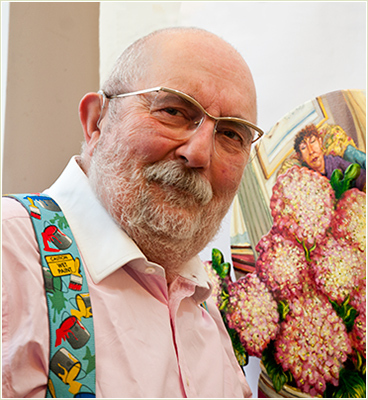 The Artist - Anthony Green	Anthony Green, senior Royal Academician, is one of the UK's most eminent and best loved narrative and figurative painters. His career as an artist has now spanned fifty years and his irregularly shaped paintings and sculptures, often autobiographical subject matter, wonderful colour and skilful execution have been enjoyed and admired by thousands of visitors to exhibitions and museums all over the world. Anthony Green is now represented exclusively by Chris Beetles Gallery, 8-10 Ryder Street, London SW1Y 6QB. For for more news and information about forthcoming events please visit the latest news page.